XtraTime VIDEO: Mohun Bagan celebrate Bengali New Year! As XtraTime reports from Kolkata, city giants Mohun Bagan AC on Monday, April 15 celebrated the Bengali New Year on their Maidan premises and conducted the bar puja. XtraTime VIDEO: Mohun Bagan players want to play Super Cup! 2019-03-26	I-League, Super Cup Comments Off on XtraTime VIDEO: Mohun Bagan players want to play Super Cup! As XtraTime reports from Kolkata, city giants Mohun Bagan players want to play the Super Cup after a dismal I-League campaign. XtraTime VIDEO: Mohun Bagan’s Debasish Dutta speaks Super Cup boycott! 2019-03-18	I-League, Super Cup Comments Off on XtraTime VIDEO: Mohun Bagan’s Debasish Dutta speaks Super Cup boycott! Kolkata giants Mohun Bagan official Debasish Dutta spoke to XtraTime about the Super Cup boycott by eight of the I-League clubs. He says, if the AIFF sits down with the I-League clubs and listens to their ideas then they are ready to play to the Super Cup. 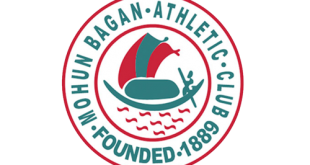 Mohun Bagan end their I-League campaign with win at Shillong Lajong FC! 2019-03-08	I-League Comments Off on Mohun Bagan end their I-League campaign with win at Shillong Lajong FC! Shillong Lajong FC have nothing but pride at stake against Mohun Bagan! 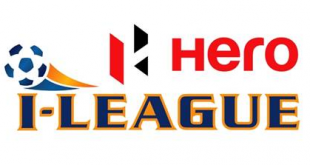 2019-03-07	I-League Comments Off on Shillong Lajong FC have nothing but pride at stake against Mohun Bagan! XtraTime VIDEO: Mohun Bagan prepare for final I-League match! 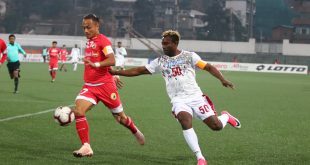 2019-03-06	I-League Comments Off on XtraTime VIDEO: Mohun Bagan prepare for final I-League match! As XtraTime reports from Kolkata, city giants Mohun Bagan trained on the artificial turf at the Barasat Stadium before they leave for their final I-League match at Shillong Lajong FC. XtraTime VIDEO: Mohun Bagan set to regroup ahead of Super Cup! 2019-03-05	I-League Comments Off on XtraTime VIDEO: Mohun Bagan set to regroup ahead of Super Cup! As XtraTime reports from Kolkata, city giants Mohun Bagan still have their final I-League match against Shillong Lajong FC to play but the club management is already looking to shake-up things ahead of the Super Cup. 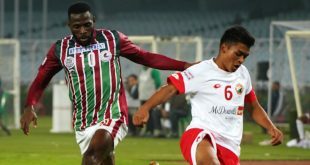 XtraTime VIDEO: Mohun Bagan suffer loss to Indian Arrows! 2019-03-01	I-League Comments Off on XtraTime VIDEO: Mohun Bagan suffer loss to Indian Arrows! As XtraTime reports from Kolkata, city giants Mohun Bagan suffered an embarrassing 1-3 loss to Indian Arrows in the I-League on Thursday. At the end of the game the Indian Arrows paid their respect to Mehtab Hossain who played his final game.